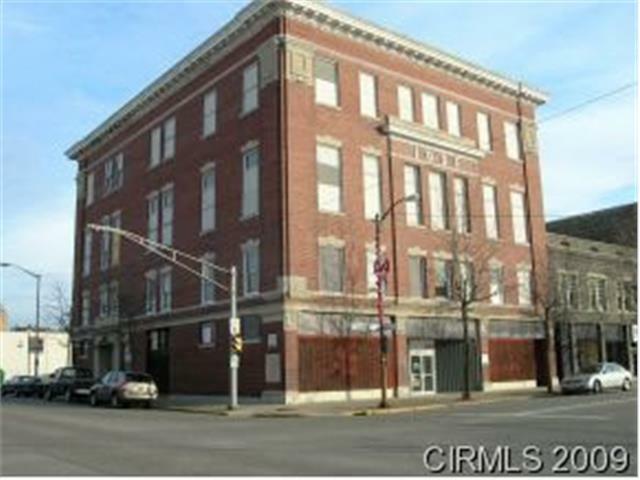 Travel back in time and check out this building with a ton of possibilities sitting on a corner lot There is a medal ceiling ball room on the 3rd floor, a conveyor belt that goes from the 1 and 2nd floors. There is an elevator from the basement to the 1st floor. There are two apartments on the 2nd floor (both currently rented) A 2 Bedroom apartment and a 1 Bedroom Efficiency apartment. Total Square Feet to this building is 23,360 this includes all 4 Floors. There is also a full basement that is not included in the square feet total. (507 North Street) Beer permit could be transferred to new owner.